There is an unlimited appetite for resources on a biophysically limited earth. The issues related with natural resources will be high on the international agenda during the next decades and play, just like the energy shortage, a key role in the climate story. Gold, silver, coltan, copper... all those are metals and minerals that are being used in everyday products and massively exploited by mining companies. The impact of mining is immense. Mining activities do not only have a damaging impact on ecological systems, but also on the economic and socio-cultural development of communities all over the world. Mining has had an enormous boom since the ’90s. The combination of high commodity prices, new mining technologies that made it possible to exploit previous infeasible or non-economically viable areas, and the institutional reform of the sector and the whole economy have made Latin America one of the most attractive areas for both national and international investors. Investing in mining is therefore very profitable, especially as the global demand continues to rise. Despite the current decline of commodity prices, governments still stand by their decisions to opt for an economic model focused on the export of raw materials. Several Latin American countries have a policy of ‘extractivism’: a political, economic, cultural and legal system that allows the extraction for export. The large-scale exploitation of common goods, such as ores and minerals, is supported by a state that not only allows its commercialisation and privatisation, but also promotes it. In their discourse, the message given is that the mining model is normal, natural and historical. Investments are protected at the expense of the rights of citizens. This mining model is expanding in several Latin American countries and carries along huge social and environmental impacts. Europe also reinforces the extractivist economic model in Latin America, where the export of raw materials is more important. An example of this are the free trade agreements concluded with Peru and Colombia, which show the need to import raw materials to Europe and to secure the European investments in the region. With the growth of the mining industry, the impact increases, both at the economic, environmental and socio-cultural level. Supporters refer to countries such as Canada, Australia and the United Kingdom to show that mining can play an important role in the development of a country. However, critics point to more recent examples such as Peru, Bolivia, Zambia and the DRC to demonstrate how economics rich in natural resources are doing worse than countries with fewer natural resources. Supporters of mining claim that its activities lead to higher economic growth and poverty reduction, supposedly through higher tax income for the government, job creation and improved service delivery in local communities. The increased demand for goods and services is supposed to make the local economy flourish. Yet, these arguments don’t always hold up upon further investigation. Critics question whether mining actually favours the local communities due to the fact that costs and profits are not equally shared. Investors in mining are mostly foreign private companies. The extractive model secures the export of raw materials, which means that the further processing of the materials does not take place in the country where the products have been extracted from. Moreover, the current mining sector is mostly a capital-intensive sector and not necessarily labour intensive. The increased opportunities for employment of the local population are therefore limited, at best. At the same time, farmers – who depend on agriculture – see their income decrease when their grounds are occupied by mining companies or heavily polluted as a consequence of their activities. 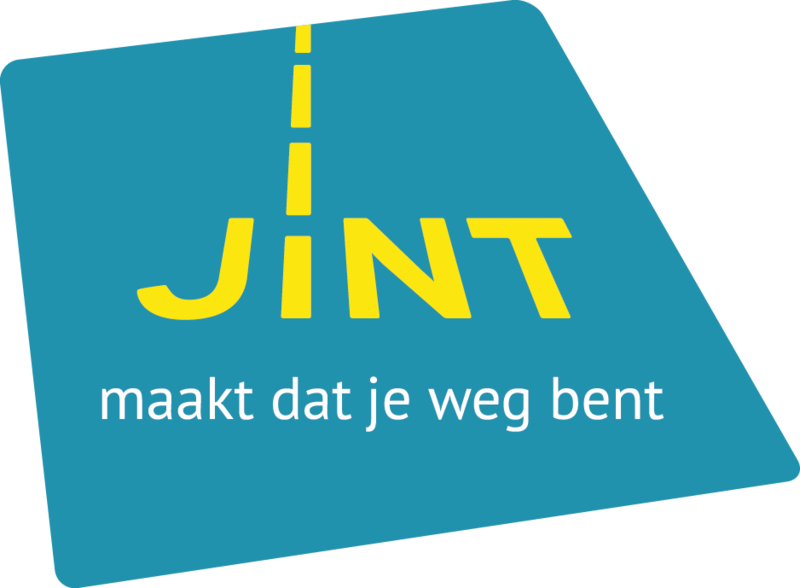 A further disruption of the local economies is caused by the dutch disease effect. This term refers to a phenomenon that occurred in The Netherlands during the ‘60s, when natural gas reserves were discovered. The discovery of natural resources led to an increase in the value of the local currency. This had a negative effect on the competitive position of the country, which in turn led to a decrease of its economic productivity and increased unemployment. The effect is, in other words, a macro-economic phenomenon that comes into play when foreign currency suddenly flows into the country because of the extraction of natural resources. The contribution of mining to the micro-economic situation of individual citizens is therefore, in the end, generally negative instead of positive. Furthermore, the taxes paid at the national level are often only a fraction of the total profits made by investors. Private companies make large profits, with little return for the country itself and its inhabitants. The passive costs of environmental pollution and social unrest remain to be paid by the country itself. 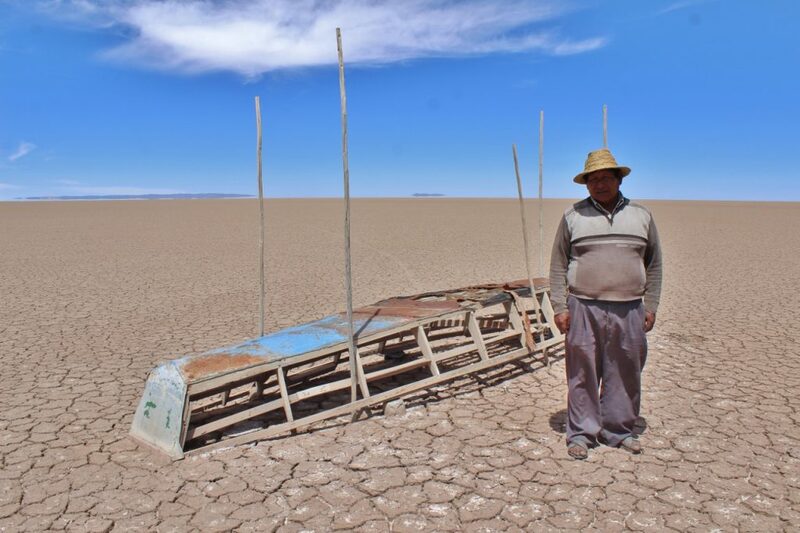 When a country focuses too much on the export of natural resources, it also becomes strongly dependent on the demand for these resources in the worldwide economy: if the demand decreases, Latin-American economies risk facing enormous shocks. A mining project does not only change drastically the external appearance of the landscape. The different types of mining can cause a broad range of different types of pollution and disruptions. The impact of mining on the ecosystems cannot be underestimated. Water plays a crucial role in this context. During the extraction process, large masses of fresh water are required. The supply of this water causes desiccation, water scarcity and, sometimes, salinisation of the neighbouring lands. During the extraction process, large quantities of soil and rocks are moved. The water that flows off carries much of these materials along with it and causes sedimentation in the rivers. Yet, not only soil and rocks are carried away. The technology employed in the extraction of minerals uses extremely poisonous chemical products that often end up in the ground water. The current gold and silver mining techniques use cyanide to split the gold or silver from useless ores. Cyanide is very poisonous and the deadly dose for a human ranges between 3-10mg/kg. Sulphuric acid is used for the extraction of copper and nickel. In case of mismanagement of these processes, accidental leakages or accidents these chemicals could get released into the environment. Cyanide normally degenerates once it comes into contact with oxygen, yet under some circumstances the river can spread it over a distance as far as 60 kilometres. Moreover, the heavy metals that were originally stored in the ores are now released (piled up ores react after coming into contact with water and oxygen) and can migrate to the surface and ground waters. This process is called “acid mine drainage” and it is difficult to stop once it has been activated. Even until today, soils in the United Kingdom contain mercury as a consequence of the mining activities by the Romans. This environmental pollution constitutes a threat for flora and fauna. The biodiversity decreases drastically and the local population face health problems. Polluted soil and the lack of clean water make agriculture impossible. Due to deforestation and large excavations the environment is severely damaged. After the closure of a mining site, very often the company does not feel responsible for cleaning up the mining wastage and for the rehabilitation of the extraction sites. Informal mining, whereby smaller enterprises and local fortune seekers start to extract without consent or regulations, also has an impact on the environment. It is not surprising that for those initiatives, the control on the level of pollution is minimal. As a result, the negative impact can become very substantial despite the fact that these excavations occur on a much smaller scale. Original ecosystems are finally lost, together with all the possible services they could render to the community: ecotourism, erosion control, water management of the region (irrigation and drinking water), food production, creation of a micro-climate, etc. The arrival of a new mining project can be the source of considerable tensions. The interests of the mining companies and the government are not necessarily in line with those of the local communities. When mining concessions are granted without previous consultation of these communities, they often revolt. 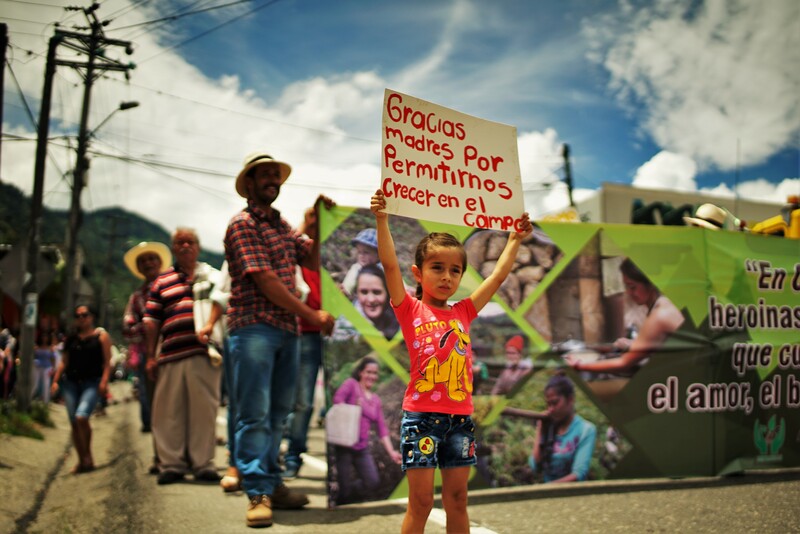 The communities demand to be consulted before granting concessions and in the management of the natural resources on which their existence is grafted. With the rise of new mining activities, they fear serious pollution and destruction of the ecosystem. Indigenous communities in Latin America have a world vision (“cosmovisión”) constructed around the concept of traditional agriculture, in which the dynamics between humankind and their natural environment are central. Therefore, the intervention in the landscape and the ecosystem means a direct intervention in their traditional culture. The mines do not contribute to the local economic development either. Quite the contrary: research demonstrates that it actually widens the gap between the rich and the poor. As a consequence of mining, social structures are altered. Potential labourers and their families flock into larger towns and cities in the proximity, while the loss of agricultural land causes rural depopulation. The gap widens between those who are working in the mine and those who no longer gain any income as a direct consequence of it. This causes even more tensions in the quickly expanding cities with more unemployment, poverty, prostitution and violence as a consequence. In many instances, protests of local organisations and their leaders lead to conflicts. They become the target of threats, either directly from mining companies or through their spies, militia or private security firms. The army and the police are often deployed to warrant the interests of the companies rather than those of the local communities. This escalation leads to human rights violations. In order to fracture any resistance to these extractive projects, social protests are commonly criminalised. A “divide and rule” strategy is employed under the form of briberies, threats, violence and blackmail. These socio-ecological conflicts are mostly focused on the control of rural territories. Farmers lose their lands while companies can often buy the rights to those same lands at very low prices. These newly created conflicts make transnational companies and civil society confront each other. The state, however, mostly chooses the side of the private enterprises under the mantra of economic growth. Protection of human rights and the environment is presented as a contradiction to economic growth. Thus, the geographical expansion of mining activities often goes hand in hand with social unrest. As far as the protection of rights of indigenous populations goes, the International Labour Organisation (ILO) developed the “Convention 169” in the year 1989. This convention is an international instrument that specifies, among other things, that indigenous populations must be consulted in case of a decision affecting their lands. Twenty two countries, mostly from Latin America, have ratified this convention. Nevertheless, there is still a large grey zone between its ratification and its actual application. There is still a long way to go. Apart from the many impacts that mining causes on different fronts, there are enormous – often deadly – consequences linked to this sector and the extractive industry in general when disasters occur. Unfortunately, these are far from being exceptional events. The WISE Uranium Project have collected data and put together the following list showing the chronology of major tailings dam failures from 1960. Raw materials can be developed in a number of ways. The first is the classic large-scale mining, which is usually practiced by multinationals. On the other hand, there are also more small-scale, artisanal forms of mining. CATAPA works primarily on large-scale traditional mining techniques, as they have a greater impact on people and the environment. The classic mining techniques can be divided into two categories: “surface mining” and “underground mining”. Depending on the type of ore and where it’s found in the soil, surface or underground mining techniques are used. Ores or metallic rocks and minerals are classified into two categories depending on the amount of minerals per ton of rock and the value of the mineral. For gold, for example, there is a low-grade gold ore (less than 2 grams of gold per tonne of ore) and high gold ore (from 6 grams per tonne of ore). For copper is 1% treated as low-grade ore, and low-grade iron is already 25% to 30%. 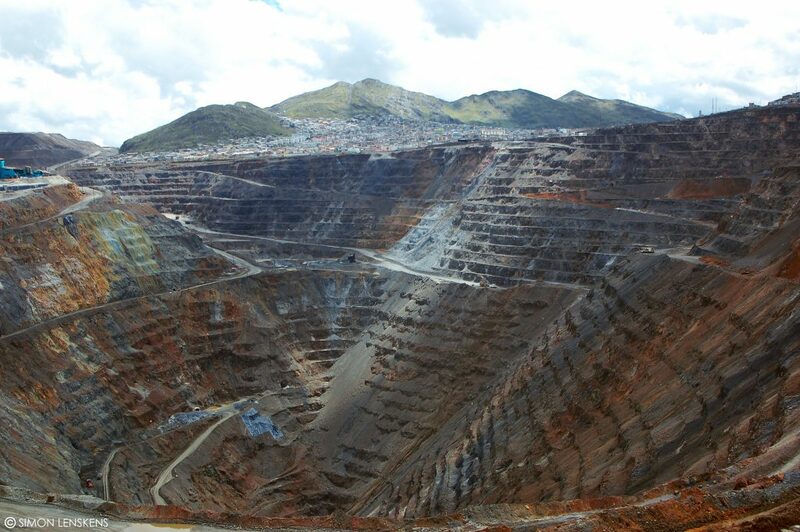 Usually the surface of a mine site contains more than one metal, such as gold and copper in the Skouries mine in Greece and the Conga mine in Peru. The grade determines which mining technique is profitable: in the case of low-grade gold, open-pit mining will be used; whereas in high-grade gold underground mining techniques will be applied. The gradation determines the energy consumption and the amount of contaminated waste products, since there are more chemicals required when there are only low mineral concentrations present. The depth at which the sought-after metals can be found also plays a role. Gold ores to the surface can be detected earlier and can be mined easily (by surface mining), while later deeper soil layers will be drilled (using underground mining techniques). Because of the high extraction rate over the last few decades, the most interesting ores (those with the higher concentrations) have already been mined, while the soil layers with lower concentrations are left over. The increasing scarcity creates rising commodity, which also makes it profitable to mine very poor mineral sites (or low-grade sites). For example, sites are already fully unearthed (via open-pit mining), even if less than 0,2 grams of gold per ton of ore is to be found. This causes more dangerous mining waster per gram of gold. Open-pit mining is the most common mining technique when it comes to new mines. Through this technique the soil is completely excavated, and the the seperation of the minerals and the remaining soil takes place completely above the ground. The first step of this extraction process is the mining of the ore. First the vegetation will be removed and the ground will be dug down to the ground layers, which contain the valuable ores. This results in the disruption of valuable ecosystems, and the fertile upper layer of soil (formed by an age-long sequence of natural processes and vital micro-organisms) is removed and destroyed. The excavation technique consists of systematically inflating the bottom, which results in the detachment of the bottom material. The ground layers are sequentially dug so that a cup-shaped hole (a pit) is produced, which has a staircase structure on the walls. This structure ensures the transport of the ground material. The depth of the craters will vary depending on the minerals contained in the ground and the price of those minerals. The deeper one dugs, the more expensive it gets. So it’s possible that part of the minerals remain unexplored. The craters can be deeper than a kilometer. (eg. Yanacocha mine in Peru). In order to retrieve the remaining minerals without making the pit deeper, this technique is sometimes combined with underground mining methods. The excavated soil material consists of a mineral-free and a mineral part. The mineral-free soil material is discharged into heaps of wat rock, and the mineral content of soil material is transported to crushers. Here begins the second phase: the pulverisation process. During this process the ores are crushed, split and scraped into smaller particles. This requires a huge amount of energy, which makes this step the most expensive one in the extraction process. The crushed ores are sedimented in large heaps, which can reach a height of more than 100m. For the separation of the mineral atoms (eg. gold atoms, copper atoms, …) from the residual fraction, these heaps are sprayed with a chemical solution, causing acidic drainage. This method is called ‘heap leaching’, and can use, among others, cyanide in the case of gold, or sulfuric acid for copper or nickel (“sulfuric acid heap leaching”). The mineral atoms bind with these chemicals and form complexes that are captured. Afterwards, the mineral will be extracted from this complex. This technique requires a huge amount of water ( one million liters of water is used per kilogram of mined gold) and chemicals. Many of these chemicals end up in the environment through accidental spills or other accidents. Although it’s technologically possible to limit the amount of cyanide in waste water to < 0,0001%, there are still large scale mining projects where the proportion of cyanide in waste water still is 10%, by poor recovery and/or degradation. The cyanide decomposes fast in nature when it’s in contact with oxygen, but under certain forms it can cover distances of 60 kilometers in rivers. Swimming in water with a concentration of a milligram per liter cyanide is lethal to mammals, and the lethal dose for human beings is 0,3mg per decilter. Consequently, during the seperation process sufficient precautions must be taken, and the used water and treated rocks must be treated in the appropriate manner. This doesn’t always happen, as the event on January 30, 2000 in Romania proved: Through a crack dam 50-100 tons of cyanide were released into the Lapus, a river of the Tisza Basin. As a result of this accident, more than 120 fish died in Hungary. When cyanide ends up in the environment, the heavy metals bound to the cyanide will be the biggest problem on a long-term basis. Cyanide breaks down relatively quickly, but heavy metals remain forever in the environment. In the gold mining industry, an additional and significant risk must be taken into account. Current technology use cyanide to separate the gold from the worthless rocks. Cyanide is a highly toxic substance, being the lethal dose for humans is 50-200 mg. This technique is used when there are low-grade ores in the soil. The majority of the reclaimed ground material is therefore waste. The more valuable the mineral, the more waste is created. The current mining of gold is more than 99,9% of the mined material waste. The San Martin mine in Honduras, for example, has an average yield of one gram of gold per ton of rock eight (0,000000001%). Once the mine is depleted, the open-pit site is backfilled with waste rock. Very often the tailings contain cyanide residues. These are simply covered with clay and new soil, supposedly to prevent seepage. It still allows the spread of toxic substances, but with a slight delay. Through promotional videos mining companies show that they restore the open-pit mine. With technologies such as phytoremediation, mining sites will be covered with plants, making it seem as if the earth would recover quickly. To be more effective, such an approach should be included in the ‘business plan’. The upper fertile layer of the soil (which is removed at the beginning) could then be saved, to be used again later for the rehabilitation. Studies show that the recovery time can last more than thousands of years. Thus, contamination remains or filters into the ground via seepage. The depleted mining sites remain where they have been opened long after the mine has been depleted. They are surrounded by fences in order to prevent animals from eating polluted plants. Local plants and microorganisms should be collected and cultivated for subsequent re-planting on the site. Local communities could be involved in the restoration of the local ecosystem and its sustainable maintainance. However, in reality phytoremediation is rarely so thorough, and it ends up being just a quick solution. Mining sites aren’t often restored and are left highly contaminated. These are two similar techniques in open-pit mining, but are generally less used. These techniques are only relevant for coal and ornamental rocks. Sublevel caving is a technique that is used when surface mining is no longer economically feasible and the ore sediment is steep and deep. The ores are extracted from various intermediate levels by drilling tunnels with explosives. The rock and ore mass is discharged from below. Block caving is an underground mining technique that is sometimes used under open-pit mines. It’s a technique with which several funnel-shaped holes are drilled under a solid block to be mined ore. Due to the force of gravity, the upper ores are pulverised and flow to the drain tunnels. The ore is then collected and drained to the surface. The process can cause a visible subsidence above ground. “Room and pillar mining” or “bord and pillar mining” is a mining engineering suitable for horizontal ore sediments. The ore is mined in a horizontal space where pillars remain untouched, and they ensure the stability of the area. There are also several large pillars that create different spaces, therefore being independent of each other in case of collapse. Blasthole stoping is a technique used when there are regulary steep contoured ore sediments and when the rock is very strong. Sublevel stoping and vertical retreat (VCR) mining are two variations on this technique. Example Blasthole stoping: Fruta Del Norte gold and silver mine in Ecuador. This technique is used for narrow steep ore sediments. Ore is broken up from below towards the top in horizontal layers. The most part of the crushed ore is left on site, until the entire layer is broken. Then the ore is carried off from the bottom up. Example: the Sleeping Giant gold mine in Quebec, Canada. “Cut and fill stoping” is a technique that can be applied in many situations. Ore is mined in horizontal or slightly inclined layers, and then the open space is re-filled with useless waste-rock or tailings sans. This layer is sometimes still refilled and stabilised with concrete. Example: Crixas gold mine in Goias, Brazil. While small-scale mining techniques only vouch for a small share of the global metal mining, there are millions of people who live internationally from artisanal mining. This form of exploitation is rarely recognised and is usually illegal. For example, when it comes to gold, artisanal and small-scale mining accounts for only 10% of global gold supply, although it provides 90% of employment in the gold sector. This sector has to deal with specific problems such as extremely poor regulation, uncontrolled and unsafe working conditions, child labor, poor working conditions (particularly for women), low-tech techniques (hence, often more polluting), etc. The mined gold is sold at a much lower price and comes through a complex network of intermediary dealers on the (black) market. Because of the low price they get for the mined gold, the poverty rate is high among artisanal miners. In addition, they experience very often negative effects on their health, caused by the poor working conditions in the mines and the high exposure to toxic chemicals such as cyanide and mercury. Despite the small scale of artisanal mining, it still has a major impact on local ecosystems by using little-controlled and low technological exploitation techniques, there are often extremely toxic substances used to concentrate the metals from mined ores which are a source of pollution for the local fauna and flora. With alluvial mining, the artisanal activities can stir up the sediments of rivers, and therefore the environment of countless microorganisms. For underground mining, very dangerous situations can be caused by the explosions and underground passageways/tunnels, which are neither coordinated nor mapped. Pans: ore and a large amount of water are shaken in a large saucepan. Due to the high mass-density of the metal, it sinks to the bottom of the pan. Gravel, mud and sand are washed away on the edge of the pan, leaving behind only the metal. Sluice box: this is a long series of steps or sluices through which the water and ores flow/wallow, and the metal sinks. Again, due to the higher bulk density of the metal compared with gravel, mud, sand, etc. (Sieve)barrel: this is a metal cylinder that is rotating at a slight angle and is closed at its lower end with a screen/lattice. Ore and water (often under pressure) flow through the cylinder and through the combination of the mechanical action of the barrel and the water, the metal detaches from the ores. All these techniques together share only a small part of the global metal mining. The ores are mechanically and/or manually crushed, in order to create a powder that is as fine as it possibly can be. The finer the powder, the more metal can be extracted. Using ‘sluice boxes’, pans or any other technique based on gravity, ores are concentrated from a metal-rich mineral. This concentrate is mixed with mercury forming a mercury-metal mixture: an amalgam. The amalgam is heated so that the mercury is vaporised, and there remains a residue of metal. The residue is melted in order to continue removing the residual mercury. This creates a semi-pure metal. The use of cyanide in artisanal small-scale mining is sometimes an alternative to mercury. A cyanide solution is then added to the milled metallic powder. The metal then dissolves in a metal-rich liquid from which it is withdrawn as semi-pure metallic zinc or with the aid of activated carbon. This is not a common technique at ASM (Artisanal Small-scale Mining), because it’s a process that takes longer, requieres training and it’s quite expensive. CATAPA seeks to ensure that ecological loss will be inserted – on a long-term base – in the cost-benefit analyses of mining projects. The following question has to be asked: “What are the costs of mining for a country?” In order to answer this question, case studies must be carried out. In the North there is a generalist solution strategy with a high priority: In the first place, less metal is to be used. The reclamation of mines that contain metals only (eg. gold mines with less than 0,001% of gold) is just an expensive way to postpone the necessary behavioral change for a very short period. This inefficient practices are costly in economic terms, and carry huge ecological and social costs along. CATAPA believes that investment in mining practices from the North should decline as soon as possible. Along with these investments, the already mined metals will be more efficiently dealt with. An investment shift will have to take place in mining investment in order to keep investing in the re-introduction of the already mined metals, through recycling and ecodesign. Up to this shift to a circular economy, in which waste is the source of raw materials instead of mines is complete, only responsible mining can meet the demand of raw materials. It is essential that case-oriented research is carried out in order to determine whether or not mining can take place in a certain region. Plus, the local residents always have the final decision on mining in their region. Additionally there will always be the possibility of having “no-go zones” for mining. During the last hundred years, the world population has quadrupled. Demographers estimate that by 2050, there will be more than 9 billion people on earth. Most of these extra 2,3 billion people live in developing and emerging countries. These people will be consuming materials and energy, now and in the future, in order to ensure their life and survival. The expansion of the world economy has increased the demand for natural resources such as oil, metals and ores – since the ’90’s mainly driven by countries such as China, India and other emerging countries. That demand will continue to rise, according to the expectations. The geopolitical superpowers are mapping up their plans too: they want to ensure their access to the remaining natural resources as soon as possible, in order to continue meeting their energy and material needs. The increasing scarcity and price hikes of raw materials and energy, such as minerals, metals, oil and gas, created geopolitical turmoil and a new boom in the sector of extractives industries in the past decade. Between 1999 and 2008 the price of metal commodities increased exponentially. The mining industry experienced a huge boom since the ’90s, which is reflected in a fast geographic and economic expansion. This was made possible by a political reform, the rise in commodity prices and technological innovations. During the last decade, almost all requirements for a rapid territorial, economic (re)colonization of the South have been met. Theis is why the name ‘second colonization’ or ‘second gold rush’ is often used. In their role of colonizers, the western states are replaced by economic entities, especially transnational corporations. Transnational corporations and international organisations dominate the sector. They determine the range of motion of the mineral-rich countries, given their high dependence on the world market and Foreign Direct Investment (FDI). The rising commodity prices, the skyrocketing profits and the associated concession struggle create a competitive environment in which murder is willing to be committed. These transformations were also reflected in Latin America. Despite the different ideological views of the leading governments (eg Bolivia, Ecuador, Venezuala vs. Peru, Colombia), similar trends can be spotted. Right now, the short-term vision of both progressive and conservative leaders is dominating. The extractive industry in Latin America was a key factor in economic growth, considering the exploration and exploitation of minerals to provide new capital (and modern technology). Since the crisis in Europe, more governments are also in financial trouble, like Greece and Romania, and are therefore in search for new mining operations to quickly generate new income. Europe reinforces the economic model in Latin America, where export of raw materials is more important. For example, the free trade agreements concluded with Peru and Colombia have to secure the export of raw materials to Europe and the European investment in the region. 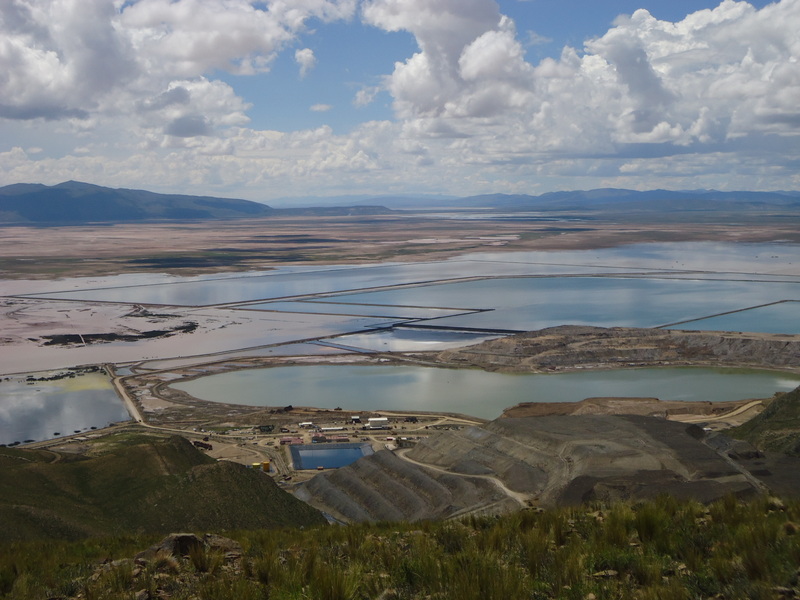 The Andes is a too important supplier of raw materials for the European industry, which wants to secure their supply of raw materials in times of scarcity. On the other hand, foreign investment attract the sputtering EU’s economic. Our federal government supports this free trade policy. Today there has been a sharp decline in commodity prices, which seems to be the end to years of growth. The fluctuations of the markets are difficult to predict, but the Andes region traditionally an exporter of raw materials, is facing a dilemma: either they remain dependent on the export of raw materials and therefore dependent on the ups and downs of the world ecenomy; or they seize the opportunity to work towards a more diversified and sustainable economy. Countries that rely on income from mining and gas extraction are likely to end up in trouble by the decline in oil and metal prices (note: gold is an exception). The price of copper declined in one year by about 24 percent. That’s very bad for a country like Peru, which is among the three largest copper producers in the world. It seems like it is time to make a transition, but for now the response of many governments in Latin America is different. They choose to exploit MORE, so they can outweigh the drop of income, and they ease the social and environmentally laws to keep their foreign investors. The answer in Greece is different. Seven years of merciless less spending, imposed by the troika (the European Commission, the European Central Bank and the IMF) have pushed Greece down. After renewed impulses for the exploitation of mines in the country, the new government broke with mining operations in their country. For more information, visit the USGS National Minerals Information Center, where they offer, among other things, interactive maps showing minerals information of every country in the world.